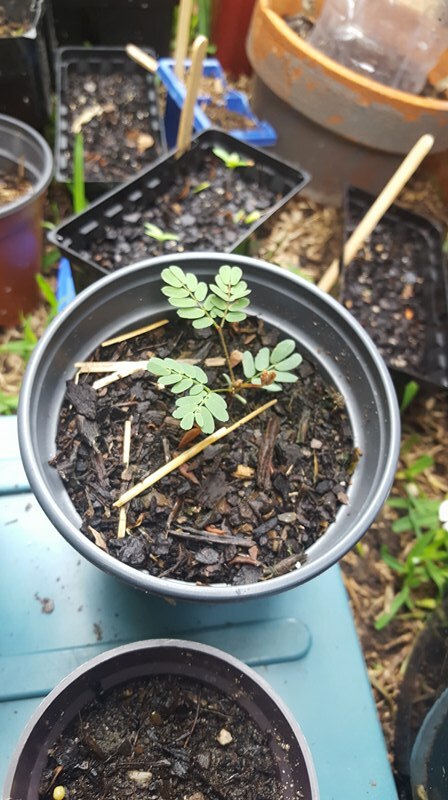 I planted acacia seeds about a month ago, 8 obtusifolia and 4 floribunda, 2 of each of these popped up in days, not problem. Since then in the last 3 weeks i have planted an additional 15 or so floribunda. So far I've only had 2 obtusifolia germinate and are doing great. And 2 floribunda which also popped up fast after planting. The remainder seem to be laying dormant. 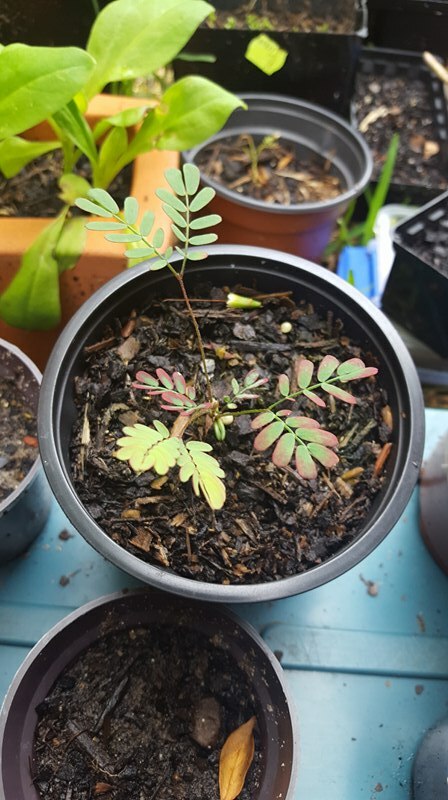 Is it common to have this much gap between germinating acacias? Could it be the difference between planting at the beginning of summer and towards the end? Did you scarify and /or soak the seeds beforehand? This will help your germination rate. Also try smoke treatment, this can assist too. The seed source may be old? I've had no issues with those using only hot water and spring/autumn planting. I avoid summer plantings for my location with acacias , I'm certainly at peak summer now. I get less acacia germination in summers peak, seed is a living entity it's "aware" of its environment it wants to survive. If it's hot, generally it's drier and that's tougher on seedlings in "the wild". There's an optimum range of Temps for a given seed, can germinate outside of it.... But stronger within it. Try putting the pots in the shade, if they've been out in the sun, or wait for some cooler weather for further sowing. Edit - when I've previously done summer plantings, I've had germination through into the cooling season. 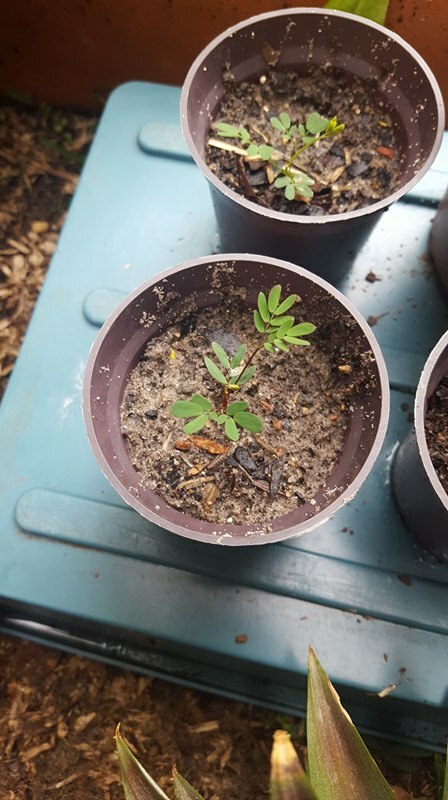 Acacias are generally long lived in soil seed store in the "wild" and germinate when it's going to provide the best chance of survival. If the don't rot, they have a chance. Some seed lots come up around the same time, others can be staggered over time (seed quality probably) . That shows up larger sowings. If you get a heap of native tubestock tubes down the track PM me I can send a heap of both. If you want a mini forest. Florabunda has the potential to be invasive in Bush settings, which is worth a consider if that's the type of area your aiming to grow them out. Wow, thank you so much! I'll keep you updated on here. It's like how long is a piece of string? An almost 2 month old obtusi seed popped up last night after some hot weather. Looks stronger than anything.